Henry Wenzel purchased the Bar just after Prohibition was repealed, he was an experienced manager having worked in a Country Club in West Orange. He did very well with the Wonder Bar & Grill during the thirties and forties as it was very popular eating and drinking spot in Newark. My Father Joe and my Uncle Al were both hired away from Caruso's Restaurant, also in Newark, as Bartenders to work at Wenzel's Wonder Bar & Grill in the early forties. 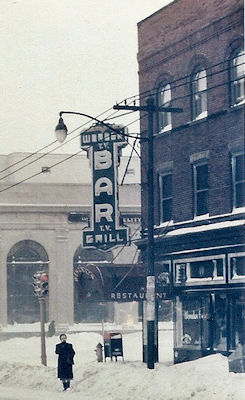 Wenzel sold the Bar to Joe Eisenstadt, owner of the Branford Bar & Grill in the late forties. My Dad later bought Wenzel"s from Joe Eisenstadt in 1956. Unfortunately my Uncle passed away in May 1957, I had just returned from active service with the USAF. I was promptly put to work learning the Bar business hands on. My Dad also passed away in November 1957 and I then inherited the business. Eventually Wenzel"s Wonder Bar & Grill was sold again in 1966.